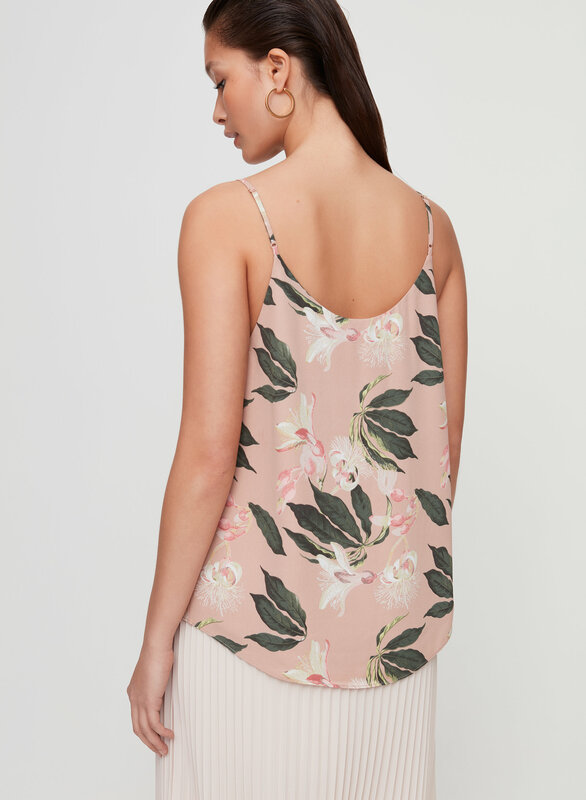 A slinky camisole to wear a million different ways. 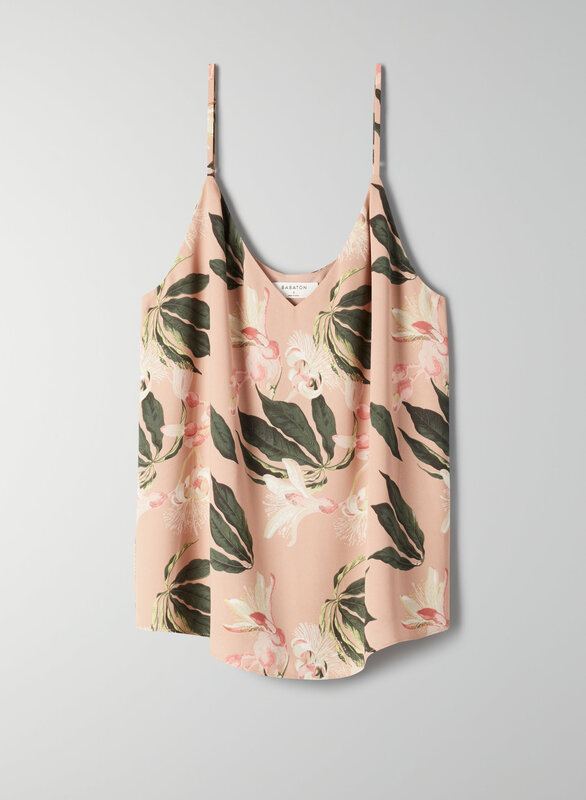 This camisole is tailored with fluid easy-care fabric that stays polished morning to night. The custom floral print was designed in house exclusively for Babaton.